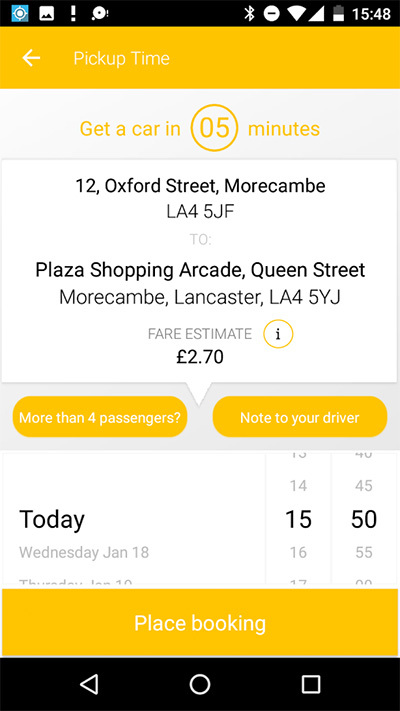 Coastal Taxis is proud to be the first taxi service in the Morecambe Bay area to develop its own app – available now for free download to iPhones and Android devices. 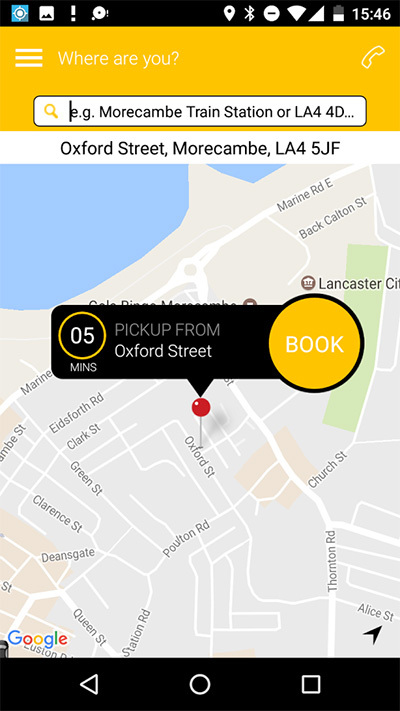 You can access the full range of Coastal Taxis’ amazing services through the app, so you’ll have the best local taxi service in your pocket, at your fingertips -24 hours a day, 7 days a week. A couple of screen taps, and you’ll know exactly which car is on its way, who’s driving it and what time you can expect it. We’ve had our app specially developed to work seamlessly with the systems in our office. We’ll store the relevant details on our database the first time you use it. Whenever you need a taxi – to go around the corner or across the country – just tap in your start point and destination. Our system will find the best car for you, and the driver who’s nearest to you, and send the details of your journey to him or her. Your phone will notify you that you have a message and you’ll be able to see which car to expect. We’ll tell you the make, model and colour of the vehicle as well as the number plate. You’ll be secure in the knowledge that you have a genuine Coastal Taxis car, with a fully qualified driver, who knows exactly where you need to go and when you need to be there. Book a taxi in under 10 seconds and experience exclusive priority service from Coastal Taxis in Morecambe and Lancaster. No standing in the rain. Track your car as it arrives on a map, or call the driver when she’s nearby. No more guessing where your cab might be. Place bookings hours, days or weeks in advance. Whenever it’s convenient for you. Coastal Taxis is FREE to download and it costs you nothing to register. It’s so easy and quick to use. 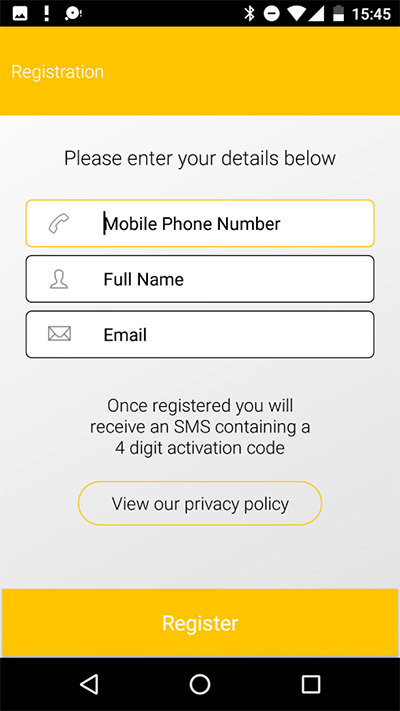 Download the App and register just once. Our intelligent software will suggest your favourite Pick Up locations, and you’re ready to book your a car. 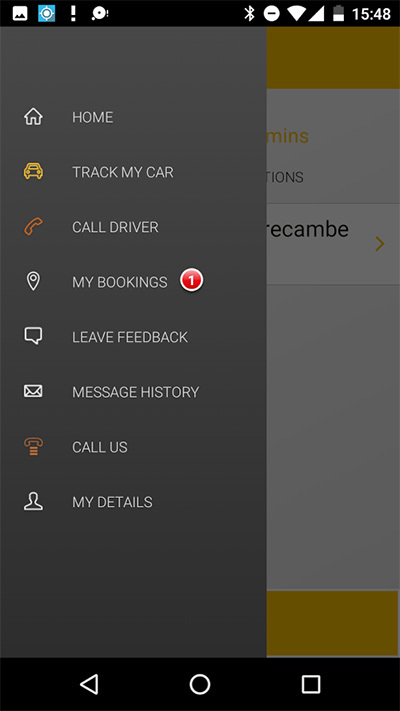 When you make a bookings, we’ll notify you by Push Notification as your car is dispatched.